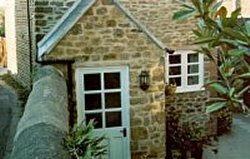 This 4* garden cottage in the heart of the village, incorporates a former hayloft as first floor lounge. Ground floor entrance hall opens into kitchen / dining room with original Victorian fireplace; bath and laundry rooms also on this level. 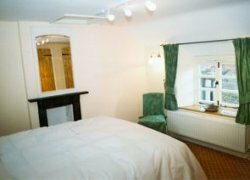 Open staircase leads to large double bedroom ( 5ft bed with cotton bedding), and the lounge with French doors (guard rail) overlooking views of walled garden and village. 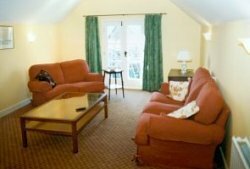 Local pubs, restaurants and shop are all within easy walking distance. 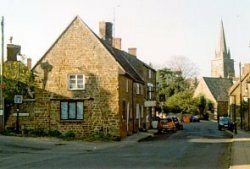 On the edge of the Cotswolds, Adderbury, less than 25 miles from Oxford, Woodstock, Warwick or Stratford on Avon, is well placed for visiting London and Birmingham via M40. Many National Trust properties are within half an hour driving through wonderful countryside. Balance to be paid - 6 weeks in advance to arrival.